When an individual is suffering from drug addiction, it’s essential for them to have access to a facility with dedicated care from health professionals and be supervised in their recovery. Outpatient drug detox provides a stable environment for the process and continued therapy and support on a regular basis after this. 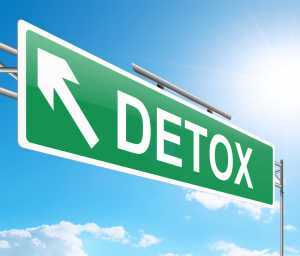 The detox period is very mentally and physically tough for addicts of all stripes, particularly when coming off highly addictive drugs like opiates, prescription painkillers or cocaine. To detox at home, in an environment with no supervision, can be extremely dangerous. ‘Going cold turkey’, as it’s commonly called, or sudden alcohol cessation, can result in seizures or even death. A more gradual detox process is much safer. Medical supervision, and an environment completely free of temptation, also makes the possibility of relapse much less likely. After using a drug consistently and regularly the user will experience unpleasant side effects that will make them likely to relapse. Being without the drug is very difficult for the user and they’re likely to go straight back to dependency to alleviate withdrawal. Why choose an outpatient detox center? Continued support from health professionals, therapists and addiction specialists. Can provide positive ways to fill the time that was previously spent drinking or taking drugs. The individual can continue with other aspects of their life, such as school or work. Friends and family can stay close. Outpatient care is only suitable for some people, and should be explored carefully by those involved before committing. On the whole, outpatient programs are less expensive than inpatient, because they’re not residential, but this isn’t always the case. Outpatient care can often help those who are still maintaining a job or their education despite their addiction. Long absences can cause greater problems, and force the individual to tell their employer or institution about their addiction, which may make recovery more difficult for them or leave them unemployed. Family involvement is also more crucial in outpatient care than inpatient. Many choose to stay closer to their family and friends when they have an effective support network and trust them to help them with their addiction. Being away from a support network for an extended period of time will hinder progress for some, rather than help it. The patient will also learn how to live cleanly when they’re regularly exposed to ‘the real world’, where they are surrounded by temptations and challenges. Some inpatient programs are only effective right up until the patient is released again, and they’re overwhelmed by their new environment, which can lead to relapse and mental health issues. When is outpatient care not suitable? Generally, outpatient care is not suitable for some addictions, as they are too severe for intermittent treatment; leaving the facility presents too many opportunities for relapse. It’s been tried before and the patient relapsed. The patient is not very motivated to get clean and would lack the commitment to go to regular classes and meetings. The patient lives in a situation where their addiction is inescapable (they live with other addicts, for example). They lack access to transportation or supportive friends and family members, who will encourage them and help them during their treatment. Their addiction is severe enough to make them a danger to themselves. What is covered on your insurance plan, and what kind of cost are you willing to cover yourself? Does the facility offer payment plans? Some treatment programs can last for months and full participation is crucial, so you need to be aware of the costs from the outset. Inpatient care can be a little further from the individual’s home, but it’s recommended that outpatient care be conducted close by so it’s easily accessible. Meetings and therapy will be fairly regular, so it needs to be somewhere the patient can get to easily. Different rehab and recovery programs have different focuses. There are some common therapies, such as Cognitive Behavioral Therapy (CBT) and contingency management, which are common in many different facilities, but there will be some variation. It’s essential that the patient have plenty of support at home – do they have people they can discuss their treatment with, and who will help them stay clean?